, as media companies rely on Facebook for audience but the digital giant is continually chipping away at their advertising revenue. It’s one that seems to be reaching another crunch point as publishers begin to shift away from Facebook’s Instant Articles format, with The Guardian opting out altogether and Fairfax pulling back on the service. But Facebook thinks its Messenger service could sweeten the deal for publishers, with the ABC finding success on the platform. The ABC started using Messenger to deliver news during the 2016 federal election to offer a morning news summary message, with options for users to subscribe to different news categories. 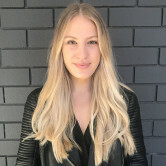 On a trip to Sydney, VP of product for Messenger Stan Chudnovsky told AdNews he hopes Messenger will build loyalty for users and attract a wider audience for ABC. “The whole idea is to give another vehicle for publishers to stay in touch with their audiences and presumably grow their audiences. We hope that after the engagement on Messenger, users will then choose that news outlet over another," he says. About 3.4 million people have now "liked" ABC's service. 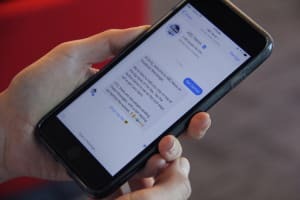 In a blog post, ABC’s product manager for mobile Craig McCosker reflected positively on the experiment with Facebook Messenger. “In digital media, “fishing where the fish are” is as a common refrain as the audience fragments, but messaging is looking like a good spot to anchor,” he said. Facebook does not charge the ABC for pushing its content through the Messenger service. “Messenger works best with Instant Articles. You can incorporate them together but you don’t have to,” Chudnovsky said. If Instant Articles are used in Messenger, Facebook can receive up to 30% of the advertising revenue. Publishers have struggled in the past to get consumers to download their own apps. As people flock to messaging platforms, growing at an exponential rate, the ease of the Messenger integration could appeal to media companies. Read more about Facebook's plans for Messenger here. Can Messenger bring publishers back to Facebook? The relationship publishers have with Facebook is complex, as media companies rely on Facebook for audience but the digital giant is continually chipping away at their advertising revenue. Can Facebook win back publishers by improving Instant Articles?